Preliminary research focusing on quality of life for young people living with Muscular Dystrophy (MD) identified The Duke of Edinburgh’s International Award as one of the most effective therapeutic interventions that has been used in the management of this condition. Two separate but complementary research studies, conducted by Sydney University researchers Dr Paula Bray and Mariam Farid have been conducted with young people who are clients at Muscular Dystrophy NSW (MDNSW) and undertaking The Duke of Edinburgh’s International Award run through the organisation. It was found in one study that the carers, educators and friends of young people with MD tended to decrease their expectations on them as their condition deteriorated. The second study, which focused on young people participating in The Duke of Ed, considered these findings and observed that young people with MD actually needed greater expectations to be placed on them in order for them to seek out and participate in a range of different activities to improve their quality of life. The study documented that the Award provided the motivation and ‘just right’ challenge they required to discover their own ability, enabling them to reach their potential. The researchers identified that these findings have implications for other disability service organisations. The Duke of Edinburgh’s International Award is not a special program and is not modified for people with a disability, but instead provides an opportunity that is the same for all young people. It is normalising and has achieved something that has not been achieved through other programs and interventions for these young people. MDNSW participants agreed…. “Doing The Duke of Edinburgh’s International Award makes me feel like I am not limited by my disability. There are a lot of things that I can’t do, but [it] makes me feel like there is nothing I can’t do”, said one participant taking part in the study. Parents also saw their children change as a result of doing the Award, with one saying “[My daughter] put herself in a box. She did what she was good at, but beyond that she couldn’t imagine what she could do… the Award made her think bigger and beyond that box”. The Duke of Edinburgh’s International Award – Australia CEO Peter Kaye AM was also delighted with the new research findings adding that similar impact outcomes are being substantiated for a wide range of high need or special need youth. 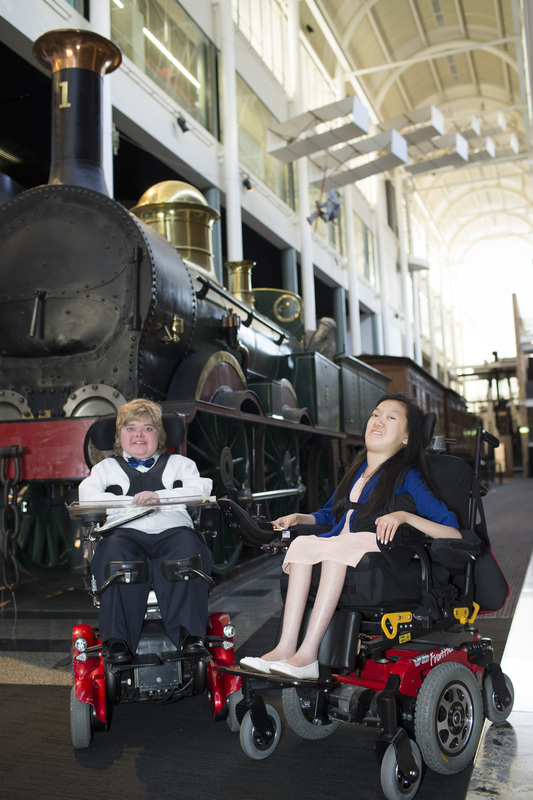 Muscular Dystrophy NSW CEO Pene Hodge added “’The Duke of Ed has had an enormous life-changing impact on all who have participated in it through MDNSW. We put great expectations on each of the participants and have seen each of them step up and prove to themselves and their families the amazing things they are capable of. Participants come to the conclusion that their disability doesn’t need to be something that holds them back! The Award provides the platform to achieve big things and the participants love stepping up to the challenge”. The full research study will be published late 2017. We will be able to share the details of the study after that date.